Thomas Aquinas once said, “There is nothing on this earth more to be prized than true friendship.” Through thick and thin, highs and lows, good times and bad, true friends are those who stay with you through everything; they are those you can go to with great news, and seek for help when you struggle. The best friends are the ones who are there throughout the years, even when the business of life makes it challenging to keep in touch. Through friendship—by accumulating bonds of camaraderie and developing strong ties of trust—we can contribute to the fundamental shifts that are urgently needed to achieve lasting stability, weave a safety net that will protect us all and generate passion for a better world where all are united for the greater good. The International Day of Friendship was first conceived in 1997 as an initiative following a world Culture of Peace proposal. It recognizes the relevance and importance of friendship as a noble and valuable sentiment in people's lives from around the world. Whether you make friends with your next door neighbor, community member or someone who lives halfway across the world, you can celebrate International Day of Friendship. Here’s how. 1. Get to know your neighbors. One of the easiest ways you can celebrate International Day of Friendship is by simply getting to know your neighbors. How often do we surround ourselves with others, yet barely know anything about them? Your neighbors are the first line of people you can make an effort to know, care for and walk alongside with through life. Make an effort to reach out to the neighbors in your area and get to know them. Take over a plate of cookies, invite them over for dinner or ask them to do something in town. By getting to know your neighbors, you can take the first step in truly building bonds of friendship in the community near you. 2. Be involved with your community. Speaking of community, why not take your friendships to the next level by being involved with others in your community? Get to know people by joining various clubs and activity groups, or volunteer with an organization to find lifelong friends who share the same values as you. Check out what’s available around you and see how you can join a cause or a club you care about. The more you’re involved with, the more opportunity you will have to meet different people and make new friends. 3. Make friends with somebody different from you. Finally, take advantage of International Day of Friendship by making an effort to be friends with somebody different from you. This could mean different racially, ethnically, politically or culturally. Oftentimes, we’re naturally attracted to people who have the same background, same appearance and same opinions as us. However, these types of friendships might not challenge us to grow. Instead, be intentional about meeting people who might be different from you, getting to know them and pursuing a genuine friendship with them. This way, you can have a variety of different friends, who can all challenge and strengthen you in different ways. As Thomas Aquinas said, true friendship is the most prized thing on earth. This International Day of Friendship, celebrate one of our closest human relationships by being mindful of how you make friends. Get to know your neighbors, be involved with your community and make friends with somebody different from you in order to truly build bonds across boundaries. You may find the more friends you have, the more joy flows through your life. We are open Tuesday through Friday from 9-6 and Saturday and Sunday depending on show times at the Theater at the Fort. 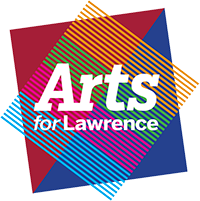 Show your support of the arts by becoming an Arts for Lawrence Founding member! Individual memberships start at $35 and helps support programming at the Theater at the Fort, Youth Programs, Outreach Programs, Public Art Projects and other arts & cultural development events.